SPOILER ALERT: If you plan on running/playing Red Hand of Doom, by Rich Baker and James Jacobs, this blog makes reference to an event that occurs at the end of Part 1 (5 Parts total). Red Hand of Doom is one of the best written sandbox-style modules for DnD v3.5. If you haven't run it, you should. A common complaint about 4th edition DnD is that it reduced all roleplaying opportunities to skill checks via the Skill Challenge mechanic. You should never let a game tell you that you can't roleplay, but I understand where the concern comes from because I felt the same way. Then I started playing with the mechanic. What I discovered was that when properly used, skill challenges enhanced roleplaying while keeping high stress situations, like sneaking into a dragon's lair, stressful. I never used them for important social interactions, like swaying a council to heed a warning about an oncoming horde, in the same way I'd never have let a single Diplomacy check persuade them, but physical challenges like chase scenes and social interactions with less important PCs became much more interesting. Below is an example of a skill challenge I constructed for the 3rd edition module, "Red Hand of Doom", which I converted to 4th edition. In this scene, the players are escaping the burning town of Drellin's Ferry as its being overrun by a horde they could not stop. In the module, the scene is vaguely described (something like, 'as the PCs escape from the burning town, they must evade patrols'), but this skill challenge allowed the stress of the chase to build and gave the players multiple options if they succeeded. One of the new elements in Small World: Underground are monsters that protect Popular Places and Righteous Relics. 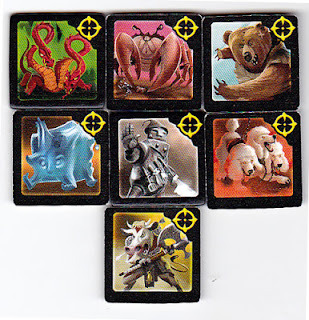 In the original Small World, a number of starting spaces contained a single tile of an ancient fallen race (known as Smurfs in our home games). In SWU, these starting spaces instead contain a pair of monster tiles. 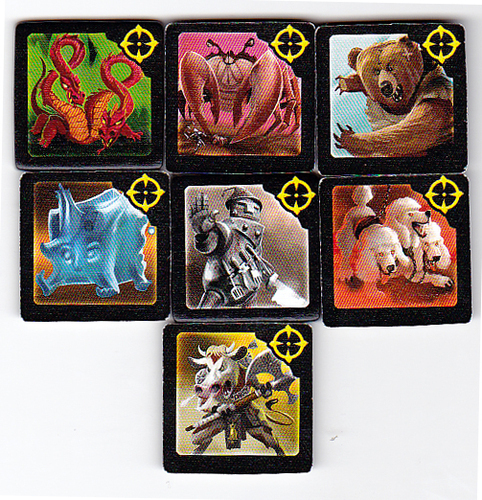 When the monsters are defeated, the player reveals a random token from a stack of Righteous Relics and Popular Places. These new monster tiles have one of seven images on them, but all monster tiles are mechanically identical, counting as two extra tiles you must defeat to take the space. Why waste fun art?! It only took us one game to set up house rules for our critters and now it's time to share. It's a small world, after all.